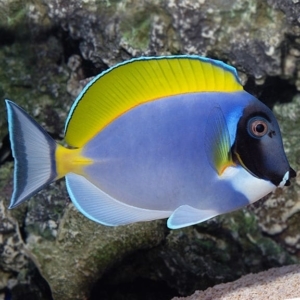 The Clown Tang requires moderate water movement with excellent water quality, and strong biological and mechanical filtration is recommended. 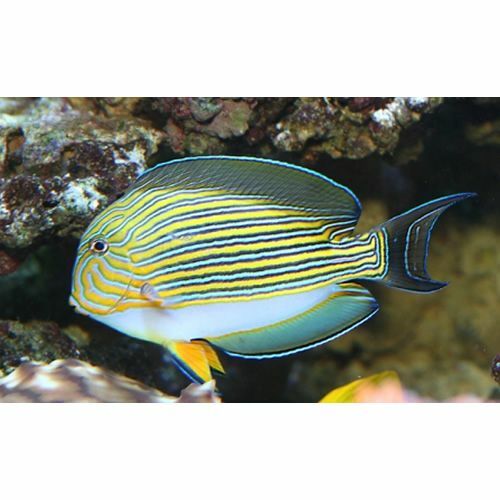 It is aggressive towards other Tangs, Surgeonfish, and fish with similar body shapes or feeding patterns. 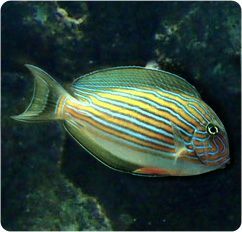 Their gender is difficult to determine, but the female may be larger than males of the same age. 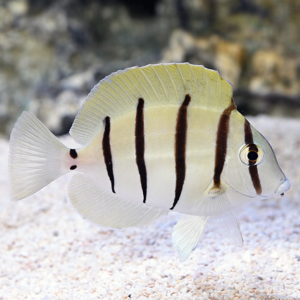 Although Tangs will eat meaty foods along with the other fish in the aquarium, it is important that they are offered plenty of marine based seaweed and algae. 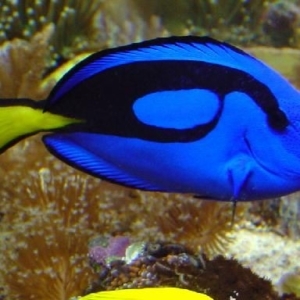 The Clown Tang thrives well in a temperature range of 72-80 degrees Fahrenheit and pH of 8.1-8.4. 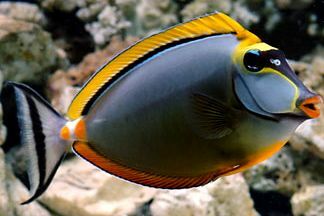 The Clown Tang, also known as the Clown Surgeonfish, Lined Surgeonfish, or Blue-banded Surgeonfish known to be a territorial species. 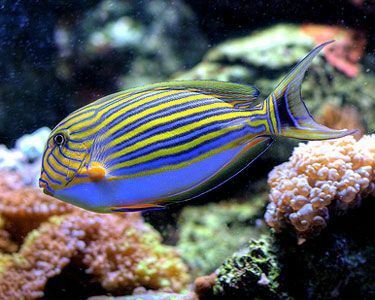 It has horizontal blue striping on a bright yellow to orange background. They can be extremely aggressive and get quite large. It also has large peduncle spines.